A Human Rights Officer interviews a displaced witness in Menaka, in northern Mali. In May 2018, a delegation led by Human Rights Officers travelled to Menaka to investigate the recent armed attacks in the settlements of Aklaz and Awakassa. 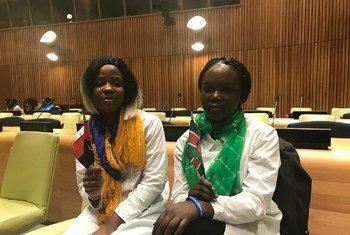 This year’s busy session homed in on the advancement of women; promotion of fundamental freedoms through elimination of racism and discrimination; and also addressed social development questions related to youth, aging, and persons with disabilities. Guiding all these discussions, is no small task, and for this year’s 73rd General Assembly session, that has been the task of Committee Chair Mahmoud Saikal, who also serves as Afghanistan’s Permanent Representative to the United Nations. 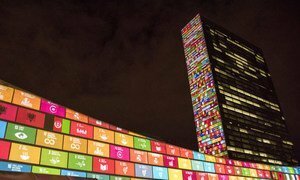 In an interview with UN News, he explained how discussions had begun in October to shape the substance of detailed dialogue in November, over the priority issues. A lesser-known but historic contribution made by the Committee was its instrumental role in drafting the Universal Declaration of Human Rights, 70 years ago – an milestone that was celebrated at length this month. In all, 81 meetings were held to discuss the draft of the document, before it was adopted as a resolution, now the most translated text in the world. If you want to get a sense of what it must have been like back in 1948, here’s one of the original Committee documents from that era. Today, one of the Committee’s many emphases in the realm of human rights has to do with refugees. Just this year, the Committee had a hand in ramping up support for people fleeing their home countries, and those that take them in, through the Global Compact on Refugees. “I’m going to use my own brain, my own skills,” he told himself. “I’m not going to allow people to treat me as a refugee.” He then resolved to give back by championing refugees during his diplomatic career, seeking to empower them. Under his leadership, Afghanistan has secured it first-ever seat on the Human Rights Council, and now looking forward, the Third Committee chair says his ties with home, and his UN experience, continues to drive his hopes for the future. A top priority is to see the implementation of counterterrorism resolutions, going beyond ink on paper, and seeing evidence of change “when it comes to movement on the ground, movement of terrorists, financing of terrorists, and arming of terrorists,” he said. A host of issues will be up for discussion in the upcoming year: Violence against women, protection of the rights of children, crime prevention and criminal justice, and international drug control revitalization. Topics will be, as usual, prioritized depending on the substance of reports from the field, which bring “the flesh and blood” to the committee's work. The United Nations at large, “is one of the biggest achievements of mankind,” Mr. Saikal said, however the challenge remains to make it more relevant to the lives of people who truly need the organization’s support. The best evidence of this is implementation. “There needs to be follow-up,” he told UN News. 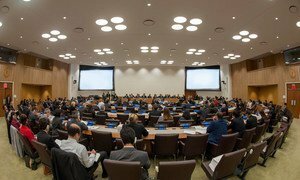 After the world media spotlight fades on the General Assembly’s annual high-level debate, the work of the Assembly, the UN’s primary deliberative body, shifts to its so-called Main Committees, where the bulk of the Organization’s work get done.